We’re always hearing about famous sports stars, film stars and pop stars. But what about science stars? They rarely get much glory – but they make a huge difference to how we live each day. Luckily, this series is here to introduce top scientists in simple facts and appealing pictures, plus detailed life stories and timelines. 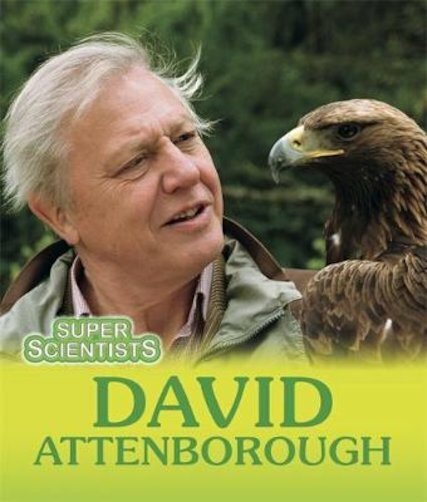 Now this book explores a true icon: naturalist David Attenborough, who actually is super famous as a celebrated TV star. His work brings the wonder of nature into people’s homes, helping to raise awareness of the threats our planet faces. Scholastic Science Supergiants: Did it Take Creativity to Find Relativity, Albert Einstein?